The innocent allure of these Stamford Black Mermaid's Love incense sticks sensual white rose aroma will arouse pleasure and eternal bliss. 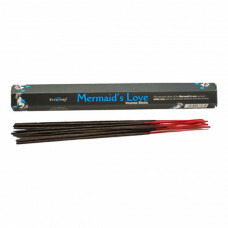 Simply light the tip of your Stamford Black Mermaid’s Love Incense Stick and wait for it to glow. Then blow out the flame and place in an incense holder for beautiful fragrance throughout your home.